Commercial carpet has many desirable qualities in a workplace or office space because it is slip resistant, sound absorbing, and can add color and warmth to a space. But because carpet in a commercial building receives more traffic throughout the week than a carpet at home it requires more maintenance in order to extend the life and look of the carpet. As with any carpet, it traps dirt, dust, and odors. These particles CAN be lifted out of the carpet and with Master Clean’s commercial carpet cleaning service, we can do just that! 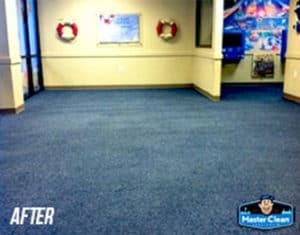 Commercial Carpet Cleaning the Master Clean Way! We know how to handle all varieties of commercial carpets. We’ve tackled carpets that clients thought could not be saved. 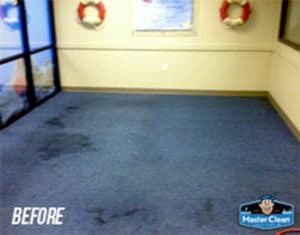 In fact, check out this before and after of an office carpet cleaning we completed where a prior cleaning company said that the stains would never come out. We proved them wrong! Just check out the “after” picture! Commercial carpet cleaning isn’t the only thing we know how to do. We tackle all kinds of commercial flooring: tile, grout, hardwood, laminate, hospital floors, cement, etc. Check out our commercial floor cleaning service page for more before and after pics. 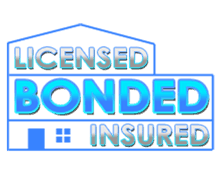 This is just one of the many building maintenance services we offer. 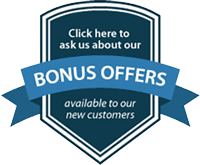 Schedule your initial consultation and get a quote, and ask about our floor cleaning maintenance plans.